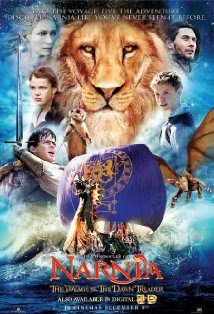 I've got two Mexican jumping beans at the moment, jumping with excitement, as today we are going to see the next film in the Narnia Chronicles, The Voyage Of The Dawn treader. We need a day of relaxing, as we had a late night last night, filled with dancing, fairies, elves, pirates, animals and of course Santa at the Melbourne Zoo Christmas party. Phew!